“Being at Ringling Bros., this is America’s longest-running hit show, it’s an American icon, and being the voice of that is a humbling experience when you consider the fact that my co-workers can fly, they talk to animals, the animals themselves have so much to teach,” said Johnathan Lee Iverson, ringmaster of the Ringling Bros. and Barnum & Bailey circus. When the circus comes back to town next week with a new show, Iverson will be at the center of all the spectacle. Ringling Bros. and Barnum & Bailey Presents “Legends” will play Thursday through June 28 at Chesapeake Energy Arena. “It’s throwing everything out there. We’ve gone mythological, we’ve gone prehistoric, we’ve put together and assembled the most exceptional talents on the face of the Earth, from Alexander Lacey all the way from Great Britain, with his talented lions and tigers; there’s our 4-foot dynamo Paulo dos Santos all the way from Brazil — he is an extraordinary athlete, acrobat, martial artist, and he kind of does everything wonderfully. We have for the first time the China National Acrobatic Troupe. Of course, we have our world famous Clown Alley and the first family of daring. They are the Torres Family and their globe of steel; they’ll go almost eight bikes inside the globe of steel. It’s never been done before,” Iverson said from the road in New Orleans. 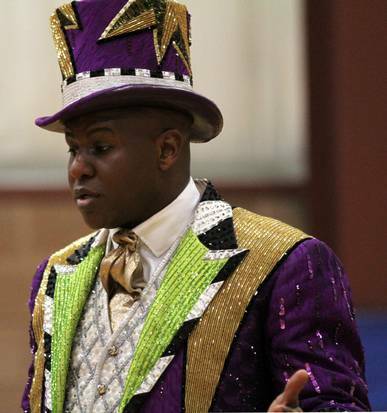 The New York native knows about doing what’s never been done before: When he joined the circus in 1998, he was the first black ringmaster in Ringling Bros.’ long and storied history. Iverson, who began performing at age 11 with the world-famous Boys Choir of Harlem, donned the iconic top hat shortly after he graduated from the University of Hartford’s Hartt School with a degree in voice performance. “I went to school to be an opera singer, and it’s one of these things where, of course, it’s wonderful to actually make a living at what you want to do. I mean it’s great. You go through the struggles of having the dream, figuring out your place, and it’s so funny, people go, ‘What are you going to do with a degree in do-re-mi-fa-so-la-ti-do?’ and ‘You know that’s not gonna be a real job’ and ‘Oh, think of the competition,’ so on and so forth — like they would know — but you just have to believe and you really have to be daring enough to be what you want to be. And the doors will open,” he said. He spends his circus life with his wife, Priscilla, a former dance captain who is now the show’s production manager, and their two children, Matthew Felipe, 10, and Lila Simone, 6, who attend school on the road with the other children. He said many fans are flocking to the new show to see Ringling Bros. famous elephants, since the circus announced earlier this year that its last 13 performing pachyderms will retire by 2018. “We see their genius in every performance and in just their everyday behavior, and it’s a beautiful thing to see. I’m not an animal person at all; I’m from New York City. The most exotic thing I ever saw growing up was a squirrel, but you can really see there’s a bond, a connection, there’s something of value when you see these animals and you see the camaraderie they have with their trainers,” he said.